Hamas says it is raising its level of alert in order “to defend the Palestinian people from Israeli aggression”. 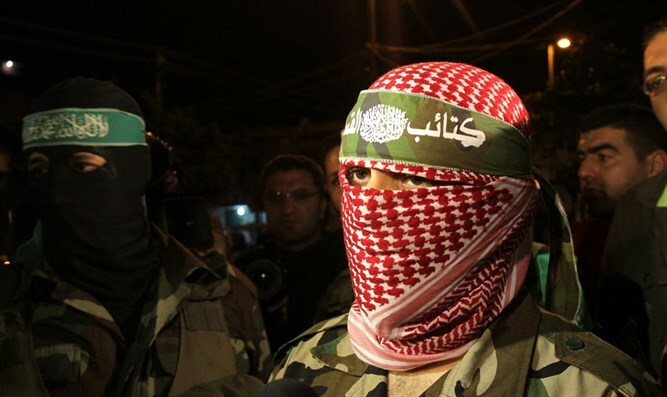 Hamas’s so-called “military wing”, the Al-Qassam Brigades, announced on Saturday evening that it was raising its level of alert in order “to defend the Palestinian people from any Israeli aggression,” the Hamas website reported. His comments came after the security incident in northern Israel early Saturday morning in which an Iranian drone entered Israeli airspace from Syria, remaining in Israel some 90 seconds before the Israel Air Force (IAF) shot it down. In response to the provocation, Israel attacked the drone’s command center. During the IAF operation, Syrian surface-to-air missiles downed an Israeli F-16I fighter jet. Both pilots suffered injuries, and ejected after reaching Israeli territory. “It is the right for all nations to defend their lands and their own security and stability in case they were targeted by any occupation,” he added. Arabic-language media reported last week that Hamas believes that there is a 95% chance that war will break out within the next few days. The report said that Hamas has declared a state of high alert and has been massing forces near the border with Gaza.